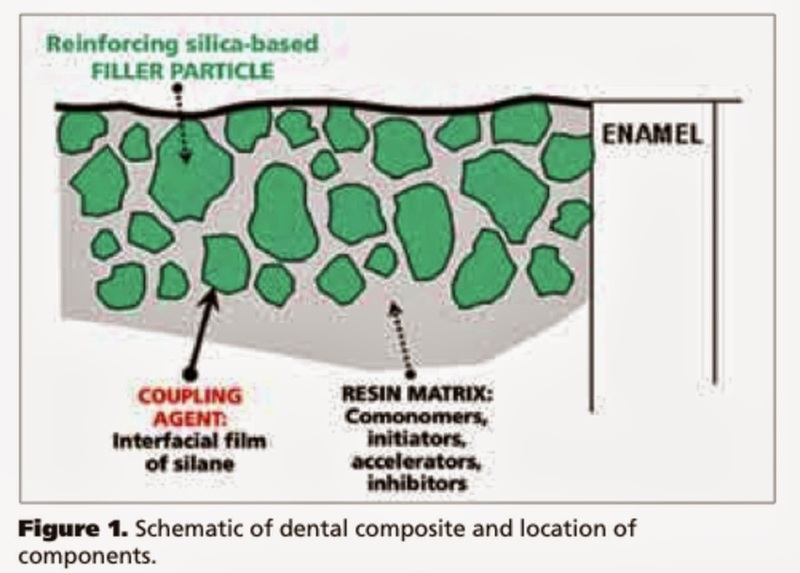 Inorganic fillers consisting of proprietary combinations of zinc, alumina, silica, quartz, and zirconia. 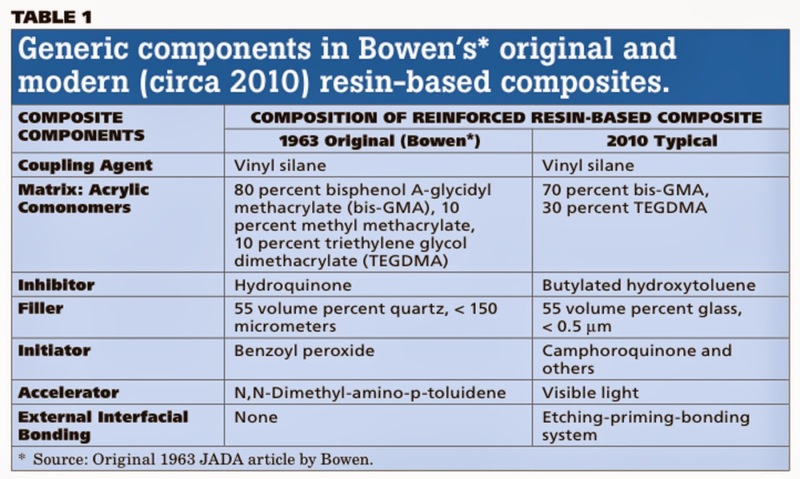 This is where most of the evolution of composites has occurred. Camphoroquinone (yellow) first one used after UV (1978). Most common today at 470nm peak. Disadvantgae is yellow color and peak absorption in visible range. There are many derivatives of methacrylates that we use in dentistry. bis-GMA, UDMA, EGDMA, TEGDMA, and HEMA are the main ones.